SUMMARY: The message on asset class diversification has never been clearer. If you’re a self-managed super fund trustee and your guts haven’t been churning in recent weeks, then I know something about you. You’re fully invested in cash. And while that has served you well in the last fortnight, it’s been a number of years since “cash is king” has been a sustained winning strategy in super. But the tide has now turned. The panic sell-off of global equity markets quickly shot through “correction” territory (a 10% fall from the peak) and could still be eyeing a “crash” event (a 20% fall). After a week of carnage, we had a rebound, before heading into freefall again in recent days. 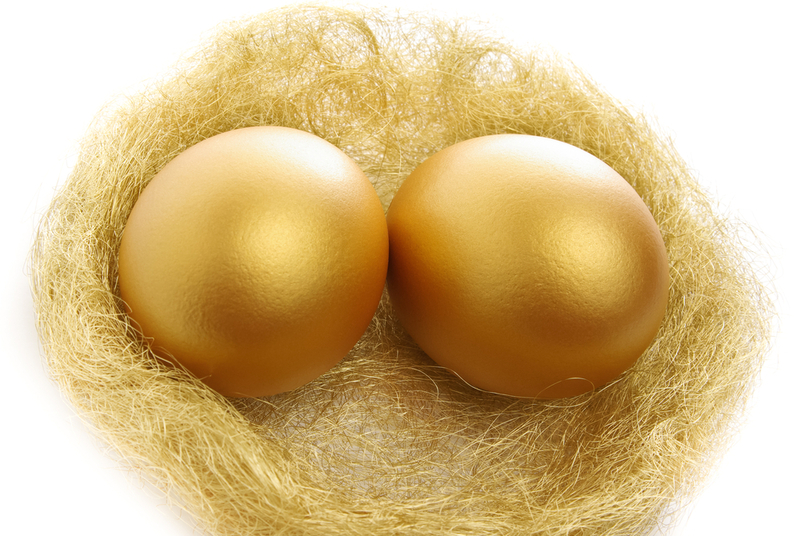 What should SMSF trustees be looking to do? As always, this can only ever be answered with a knowledge of where your investments lie today. If you’re overweight cash, is this your opportunity to buy bargains? If you’re overweight shares, do you ride it out, or sell into strength? In general, there are a few lessons to learn from this. And a few actions to take. The first is the decision on whether or not to take evasive action now, by selling into strength and waiting for the current volatility to fall. Is it simply way too late? From the very top of the market earlier this year, to the very bottom on Tuesday morning (before the rebound), Australia’s stock market had lost more than 17%. There was massive selling pressure on Monday. I don’t think it was capitulation, but it wasn’t a pretty sentiment. And there was equal, initial, selling pressure on Tuesday morning, which is what pushed the ASX 200 to around 4930 points. It’s hard not to panic in an event like this. But if Monday’s slump scared you witless, then give yourself a shake. You’re not a fund manager who is paid to panic. You’re a SMSF trustee – you have time, you must take time, to consider options clearly. Australian SMSF investors tend to be invested like barbells. Not all, but a serious majority. Literally, for many, what they don’t have in Australian equities, is usually invested in cash, via high-interest online savings accounts and term deposits. We know what they’re currently yielding – lower than 3%. If you have been holding on to too much cash for too long, is this the event that you’ve been waiting for? The ability to go in and pick up assets for around a 15% discount to the price being happily paid by investors only a few months ago? If you were ploughing in now, then you might have done well out of this. If the market bounces too much more from here, then you might have missed this boat. SMSF trustees do not, unlike fund managers and stockbrokers acting for clients, have to make panic decisions. You don’t have to answer to short-term performance criteria. You only have to answer to yourself. And if you’re not worried about how you end a given month, or year, then rationally look at your current investments, versus pricing on offer now. Have you looked at the traditional SMSF favourites of bank stocks? The Big Four are averaging fully-franked yields of around 6.5%. Grossed up, that’s more than 8.5%! For long-term thinkers, who don’t believe Australia is about on the precipice of the mother of all property crashes – APRA is clearly concerned – then those bank dividend yields have got to look attractive. As do some of the capital raisings (CBA’s doesn’t close for another week or so) and any future potential capital raisings. When bank capital raisings go into round two, they usually have a round three also. Bank stocks have been murdered. They are off far more than the broader market. But unless you think that their overall dividends are in for the sort of 20-30% falls that occurred during the GFC, then consider if they should have a stronger place in your portfolio. And that goes for all of the higher-yielding stocks that hold a special place in SMSF portfolios. The second is that horrible old chestnut of diversification. Bond markets have, simply, not collapsed during this recent rout. Since early August, bond prices have rallied marginally, up about 1%. Having a diversified strategy that took in the asset classes often ignored by SMSF trustees would have continued to help in recent times. And bonds? Well, they’ve rallied into this most recent tumble, by around 1% since the start of August, when this free-fall began. What? You don’t know anything about bonds and don’t want to try to pick a basket of international shares from your computer screen in Australia? I hear you. And you don’t have to. To get this sort of asset class diversification – that pays off not only in circumstances such as this – outsource the job. Most simply and most easily, to the likes of an index fund manager. Most importantly, your job as a SMSF trustee is to make calculated decisions, without panicking. You have the luxury of time. For anyone holding more cash than they believe they should be now, the main message is to carefully consider unwinding an overweight cash position. Potentially to take advantage of bargain basement stock prices. Do you buy back in below 5200 points? Do you wait for what is likely to be continued volatility to take the market back below 5000 points to pick up some real bargains? For mine, and my advice to clients, is to have cash ready to pounce on Australian shares. Or to consider taking advantage now, if you were thinking about doing so in recent months, at higher average levels. One way to help this might be to bring forward cash contributions to your SMSF that you are likely to make later in the financial year to now, so that the cash is ready to invest. That’s exactly what I have done in recent weeks. I usually make the bulk of my contributions in May and June and I know that I’m going to make the contributions anyway, so I’ve bought forward a chunk to potentially be ready to pounce. Cash isn’t normally king. But it could be right now. If we don’t get an immediate bounce back above 5500 points. Previous PostHealth insurance: why should you have it and what should you look for?Next PostWhat are some of the most important things you should know about your super?